One of the most controversial approaches toward increasing the number of leads is to utilize pop-ups. The reason this method is controversial is that pop-ups have the ability to both improve and worsen the user experience. So…should you use this form of advertising or not? 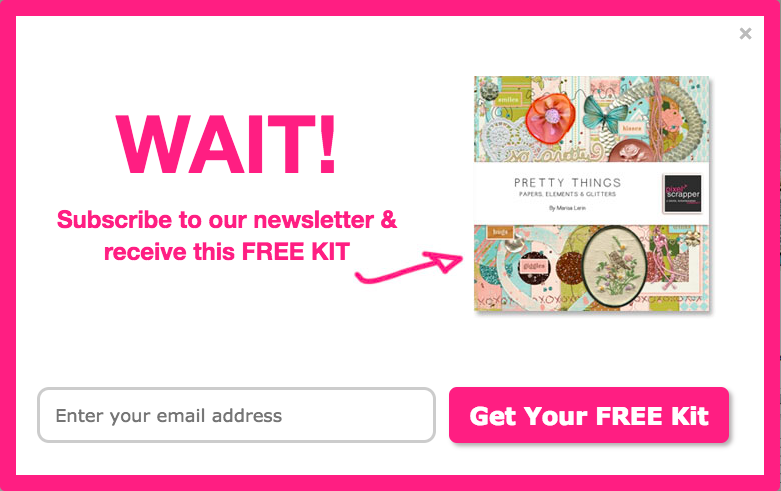 Do pop-ups actually increase your conversion rate or just the opposite? Well, it all depends on how you execute this technique. 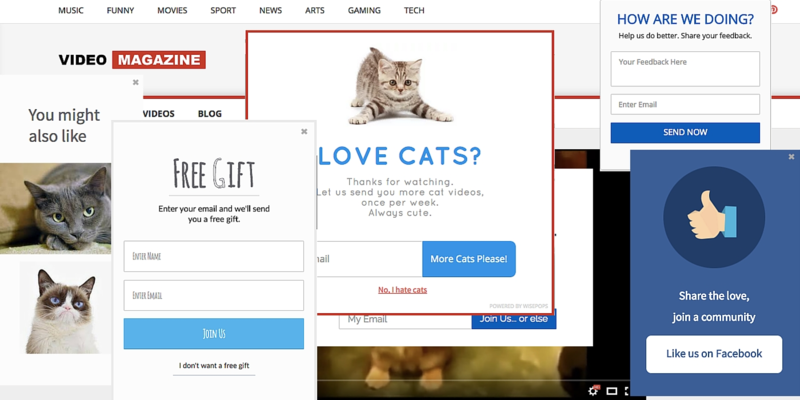 When pop-ups are used, it must be taken into account that they always interrupt the user and it is highly likely for the user to end up being annoyed. Think about commercials on TV that interrupt your favorite shows. The fact that they irritate you leads to you dismiss what these ads have to offer. 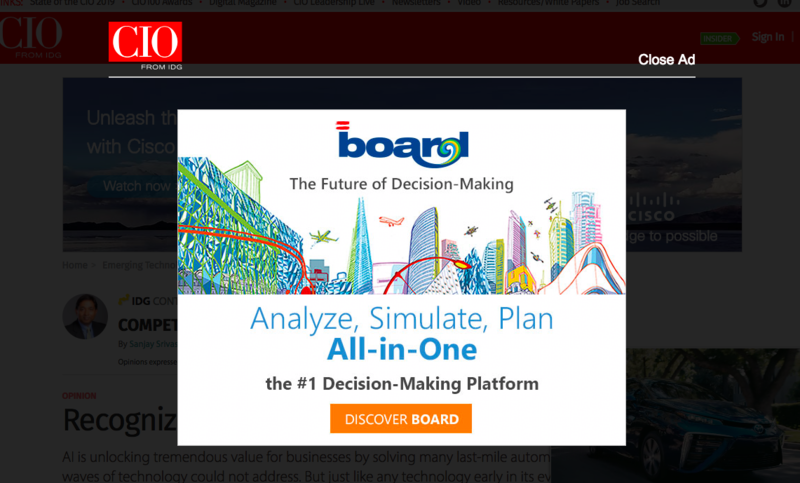 This is the polar opposite of what companies aim to achieve with pop-ups. Therefore, your execution of this technique must revolve around the principle of turning irritation into interest. The very first thing that a user notices about a pop-up is not the text, but the appearance. So, you must ensure a clean and attractive appearance of your pop-up by using designs that capture the user’s attention and techniques that are sure to pique their interest. 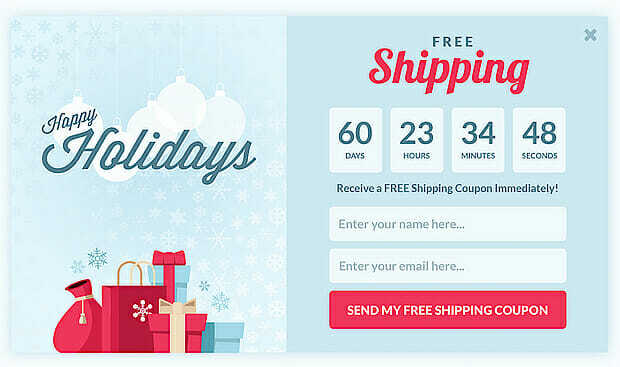 The pop-ups can be made more attractive by designing them with specific color schemes or seasonal decor if you plan on offering discount coupons based on a particular holiday or occasion. It can be made to slide out from one side of the screen, pop up with a special tone to get the user to notice, or offer something free and of value right away. The ideas are unlimited and each one of them is worth trying out to see which design gets best results. This is probably the best piece of advice that anyone can give you regarding the use of pop-ups: You need to ease up on the number of pop-ups you use because there is a fine line between getting the users interested and making them annoyed enough to never consider visiting your site again. Make sure that you limit your use to one pop-up per unique visitor. If you add a pop-up to every single page, then you might as well say goodbye to any leads that you had hoped to gain. Use an obvious “X” in the top, right corner (where it’s most intuitive). Allow the user to click outside the box. With a button that says “no thanks”. The greatest factor that contributes to a successful pop-up is timing. But it’s a little tricky because every single person has a different take as per the timing of the pop-up. There seems to be no “one” correct choice and thus no concrete rule to be followed. However, I have narrowed down the many approaches to the few essential ones. This approach is widely agreed upon. In this way, you can increase the likelihood of the user actually being interested in what your pop-up has to offer. You can tweak the timing a little, taking into consideration your parameters. However, this recommendation does provide you with a sound reference point. 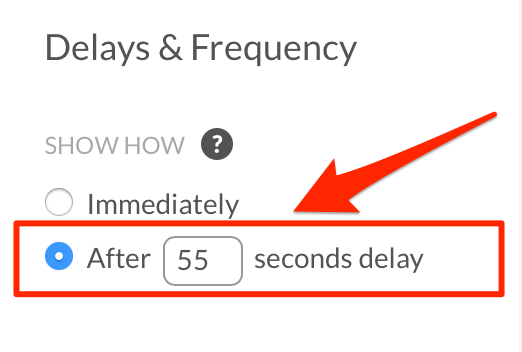 Contrary to the previous approach, many experts are of the view that a 5-second waiting time suffices. This approach was brought forth because most users tend to leave a website within a few seconds, so instead of not displaying a pop-up at all, you should take your chances with the narrow timeslot that you do have. When the user is about to exit your website, that is the last chance you have to engage them or risk losing a lead. If your pop-up is creative and designed in a way to encourage engagement, you have a better chance of engaging people just before they’re about to bounce off. Your pop-up could be to prompt them to visit other pages of your website or maybe take a survey to review the site. 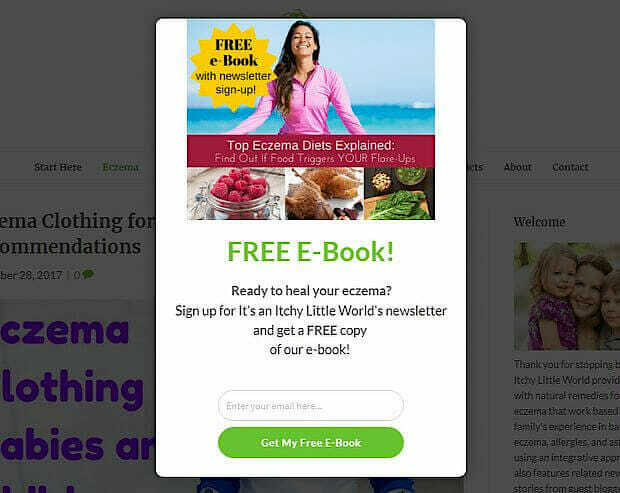 Most of the time, the exit pop-up also aims to redirect the attention of the user to do something else, like sign up for a newsletter, download an e-book or click on some other product page. Just remember to implement cookies on your website so that your exit pop-up doesn’t appear every time someone returns to your site. Another important thing to keep in mind is that your pop-up should contain both relevant and valuable content. As previously stated, the last thing you would want is an annoyed or angry user. Therefore, you need to make sure your content is to the point and in keeping with what the user has already been viewing on the website. 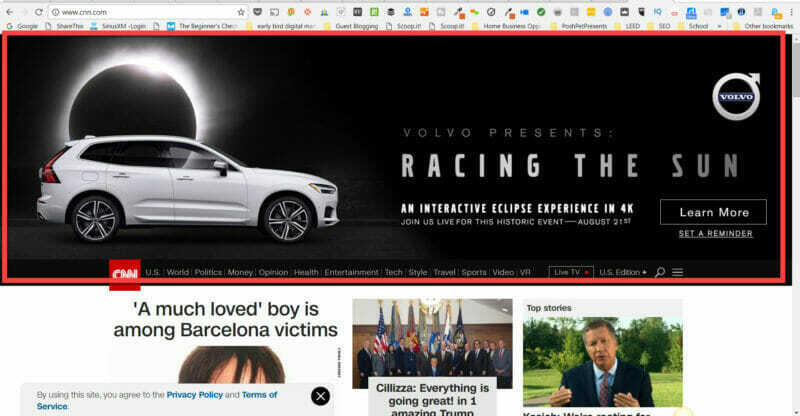 For example, you can use pop-ups to redirect your users, possibly to a piece of your most accomplished content (e.g. a quiz). 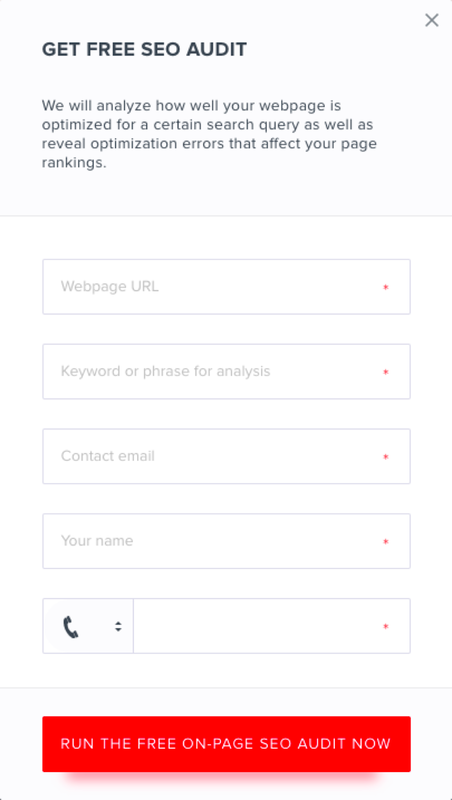 A good option was provided by SE Ranking, a lead generation tool: a pop-up that offers a free SEO audit of your website to convert more visitors into potential customers. They offer something of great value without asking for anything more than your basic info. You’re not completely done just yet. Although the basics have been covered so far in this article, you still need to have some tips and tricks up your sleeve in order to really get into the game and ensure substantial conversion rates through proper pop-up utilization. First and foremost, you need to keep your pop-up design in conformity with the rest of your website and your general branding. Keep the inquiries to a minimum. The less personal information you demand from the users, the better. Don’t go about asking for their life history in a pop-up window; just an email address will typically suffice. Ensure that your Call to Action (CTA) is apparent, compelling and imperative. Don’t make it into a game for the user; be unambiguous and simple. You should tell the users what to do and why they should do it in a straightforward way. Make use of behavioral analysis to know what your users typically do on your website. This way, you will find out what kind of offers to make with a pop-up window, when to make them, and whom to target. With these tips in your arsenal and with the right tool to help you along, there is no doubt that soon you will find yourself making the best use of these pop-ups to generate substantial leads. Diana Ford is a digital marketing specialist. She's been blogging for several years, and her writing expertise spans online marketing, SEO, social media, and blogging. She also does outreach marketing, product reviews, and online marketing guides.